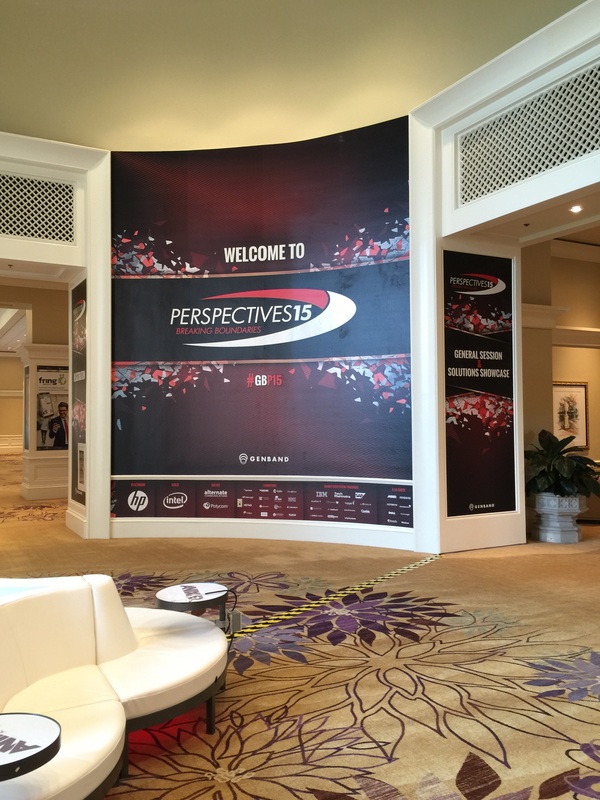 Welcome to the Perspectives live blog for 2015. A follow up to blogs from 2014, 2013 and 2010. We’ll here about progress with the Fring Alliance, Nuvia cloud UC as well as Kandy proof points. There will be lots of discussion regarding network modernization. As Skype for Business continues to gain traction in the enterprise – regardless of how many name changes Microsoft’s UC solution has gone through, the one constant is the need for bandwidth on corporate networks to handle the increased load of voice and video calls. For this reason, Extreme Networks has been focusing on helping customers set up software-defined networks allowing for bandwidth to be requested and granted on-demand in order to ensure communications has the required bandwidth it needs via OpenDaylight integration. Group Based Policy - Integrates Extreme Networks' NetSight management application with OpenDaylight Group-Based Policy (GBP) to deploy consistent network policies across a multivendor network. 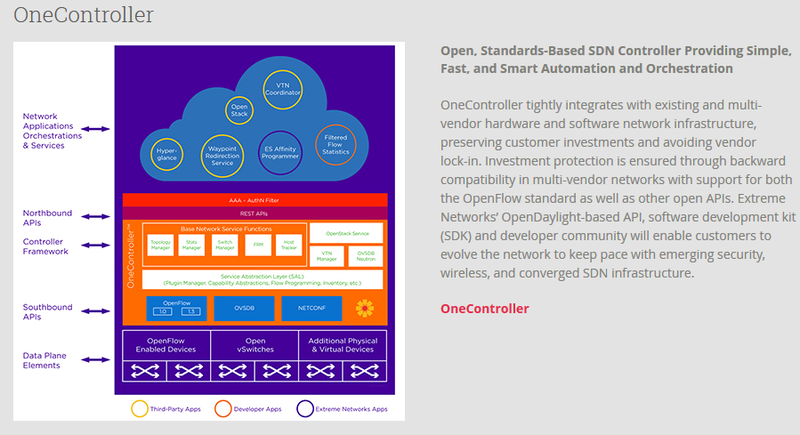 SDN Applications Store - Offers an online repository of paid and free apps for customers and technology solution partners' Software Defined Networks. SDN Developer Portal - Provides third-party developers of SDN applications with the necessary information needed for developing, submitting and managing their applications in the Extreme Networks app store. At the show I met with a number of people from the company including: Markus Nispel, Vice President Solutions Architecture and Innovation, John Hanahan, VP Product Management and Marketing and Derek Granath, Senior Director Product Management and they seemed quite enthused about recent wins such as a 32-school system in the town of Enfield, Connecticut and University of New England in Australia. Fring may be one of the more interesting stories in the telecom space. The company launched one of the first VoIP apps I used on the iPhone – if not the first. They then sold to GENBAND some years later to be the core enabler of a hosted VoIP platform carriers could purchase from GENBAND and resell to their customers. In short, a simple cloud-based white-label way to compete with OTT without massive investment. Panel to celebrate 20 years of IP communications/VoIP and discuss its future. Next week at the 29th ITEXPO, I get the pleasure of moderating a panel with some super heavy hitters in the world of communications. Craig Walker is the man behind Dialpad Communications – the dotcom sensation as well as GrandCentral Communications and UberConference. Basically, he was responsible for the communications systems Yahoo! and Google provide us today and more. Skype has finally decided to bring its VoIP and video platform to the web in an effort to better compete with a new wave of companies leveraging browser-based WebRTC technology. Today, they announced Skype for Web (Beta) which works with Chrome, Firefox and IE 10 or above. Recently, I mentioned how Microsoft has really been making some smart moves lately which make the company more relevant and ORTC/WebRTC support is certainly one of the most important areas in the communications space. My colleague Doug Mohney agrees when he says this isn't your father's Microsoft. The simple reality about this move is it may make it tougher to compete with Skype as a pure WebRTC video or audio play as Skype obviously has a bigger name and bundles its solution with other Microsoft products. Last night, GENBAND hosted a gala premiere at Ruby Skye in San Francisco for its official Kandy launch - the transitional solution from the communications hardware company which positions them as a seller of cloud-solutions. The point of the event was two-fold... Establish the brand Kandy into the minds of attendees who consisted of the media, analysts, customers and partners and also to show off the partner ecosystem which is beginning to flourish. The company seemed to nail it on both parts - the extravagant event was not inexpensive and it was choreographed perfectly. Many attendees told me they couldn't believe the investment. What's the Future of SIP Trunking, IoT, Cloud and WebRTC? Does the cloud have challenges you should be aware of? Is IoT the future? If so, how should carriers react? Weill WebRTC change how companies communicate internally? Alan Percy had a challenge... The Senior Director of Marketing at AudioCodes saw the promise of WebRTC three years ago... And he saw how disruptive it could be for his company which provides communications equipment for enterprises and communications service providers. He approached his engineers and told them they need to start thinking seriously about this new standard. Over the past few decades as telephony has opened up, we have seen the advent of APIs on computers which allowed better control of voice communications. Things like softphones and PC PBXs startd to appear in the nineties. Soon thereafter we saw voice get packetized as it travelled over IP networks. Big data, analytics and a host of technologies have evolved to a point where voice will be heading to a new frontier – and smart voice will be born.